Or view larger version. Man Beside Wheelbarrow. 1934. Dorothea Lange, photographer. Gelatin silver print. Collection of Oakland Museum of California. Gift of Paul S. Taylor. 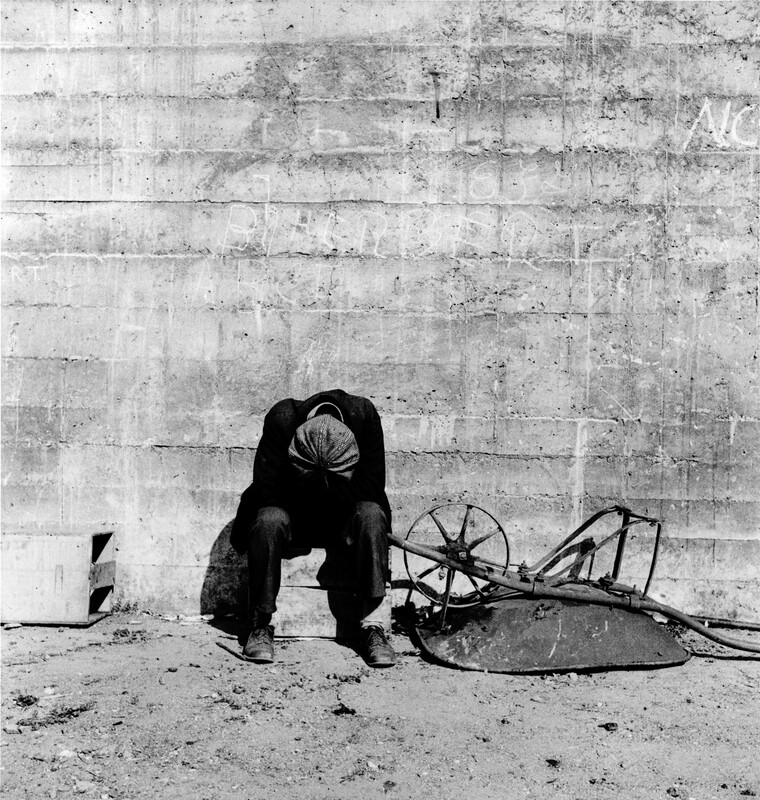 This 1934 Dorothea Lange photograph of an unknown man in San Francisco conveys the heartbreak felt by millions of Americans during the 1930s.